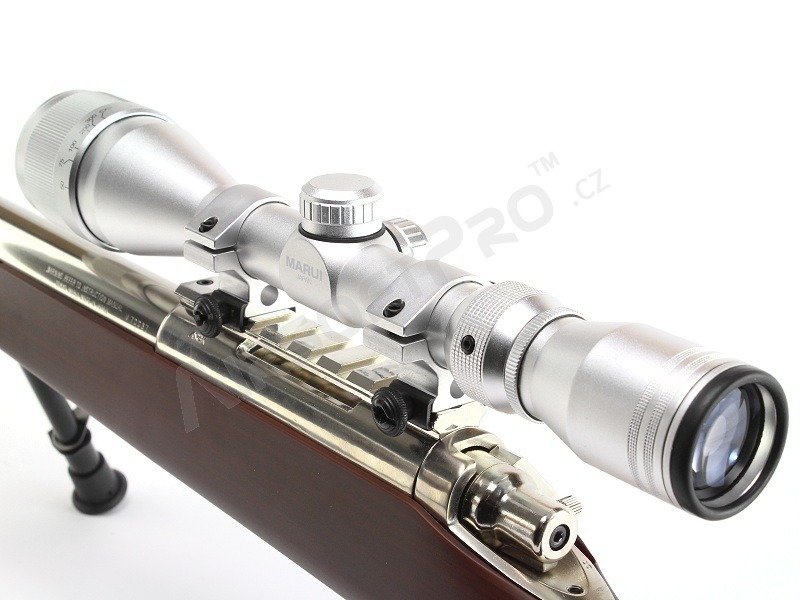 A famous VSR with a new feature? 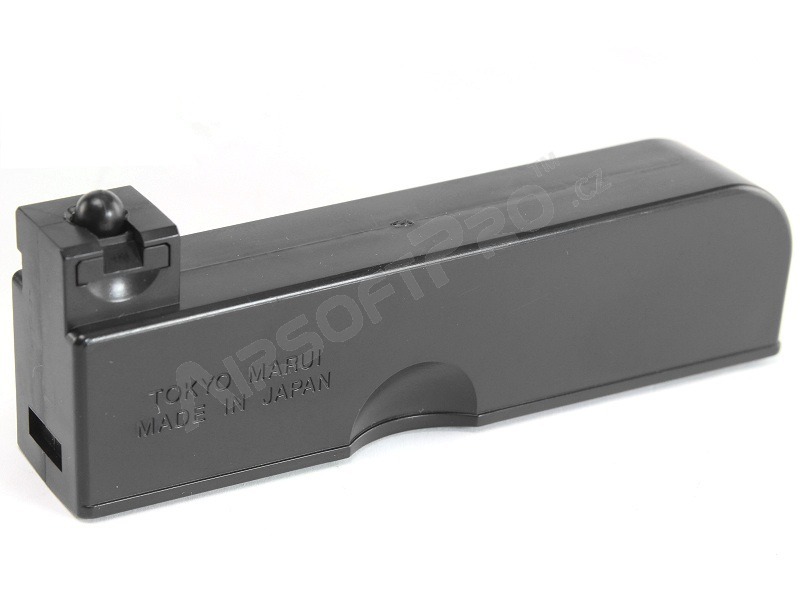 That's a new weapon by Tokyo Marui, which will impress you by its premium quality. First, notice the glossy chromic surface. 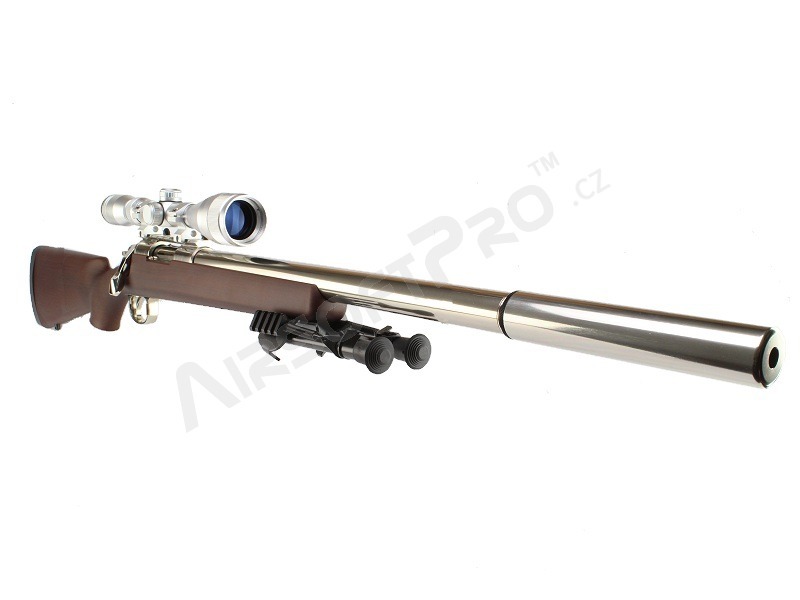 It's very well-done and shows this weapon if for players, who prefer style and don't want to be concealed. Next, notice the nice plastic furniture providing a comfortable grip; you will not want to release it. 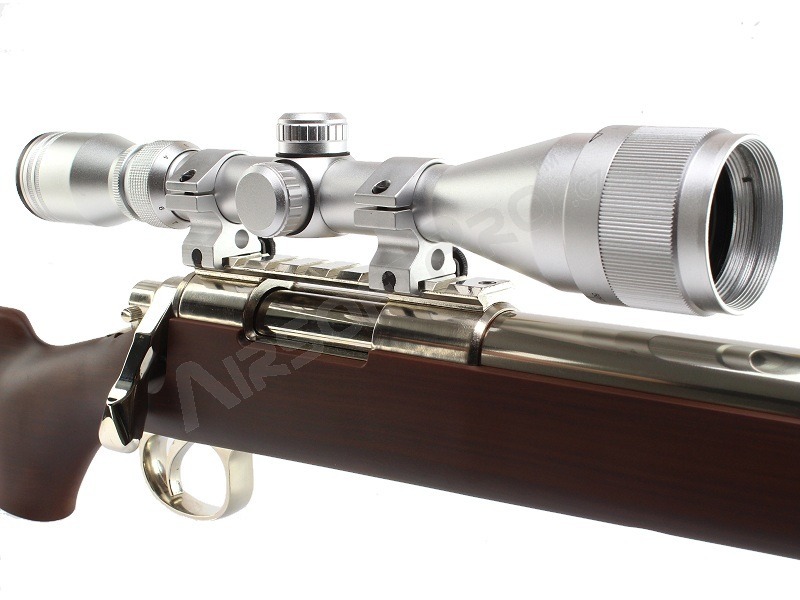 Although it's not typical for Marui, there is a quality bipod (Harris type) and a scope included. 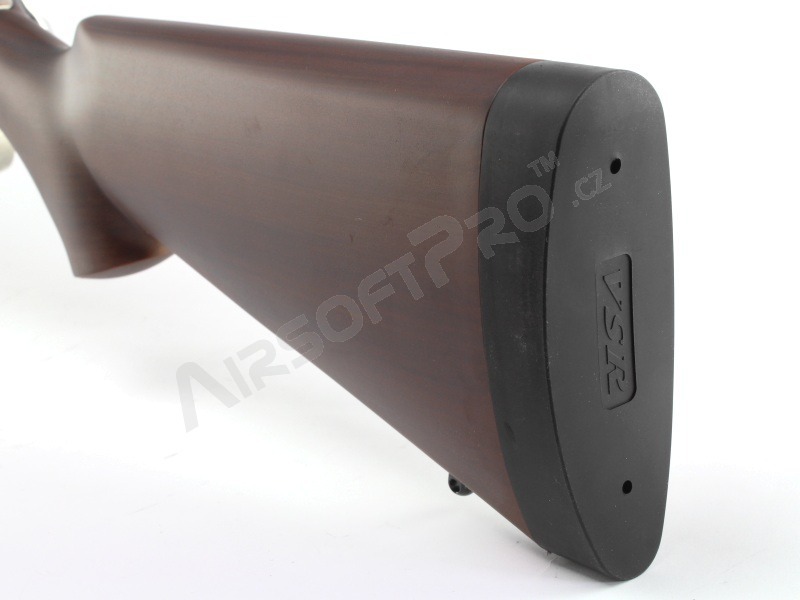 The next accessory is a dummy radio, which is required for the specific function of this weapon. There's a transmitter in the stock (powered by batteries that are included - just remove battery insulation). 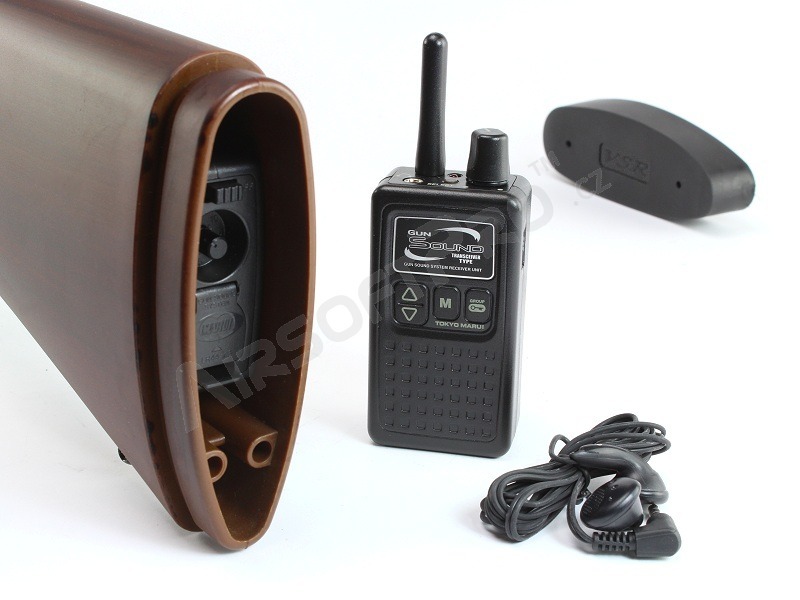 It reacts on shooting and sends the signal to the dummy PMR (powered by 3 AAA batteries, not included), which has a 3.5 jack connector. After connecting your earphones, you will hear the sound of a real weapon each time you fire. 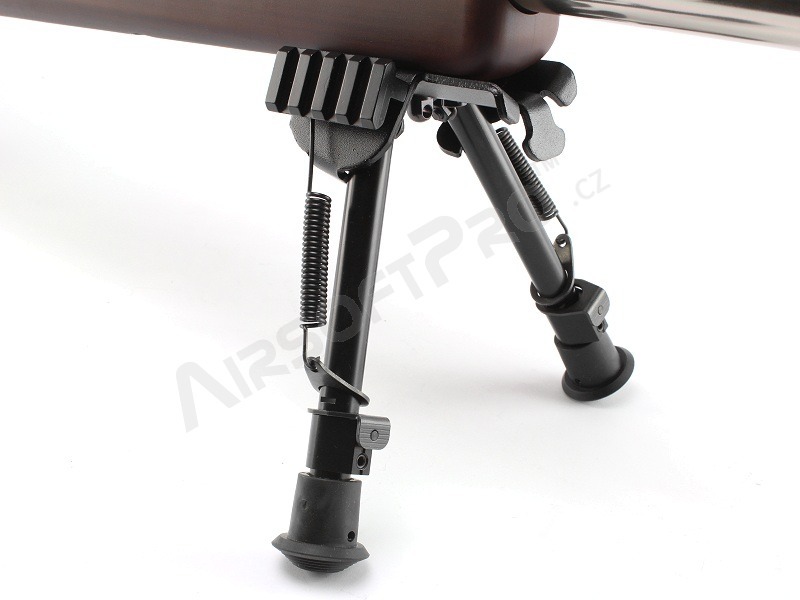 In addition to this, this weapon also imitates the recoil. Just after the shot, the weapon gently kicks back. 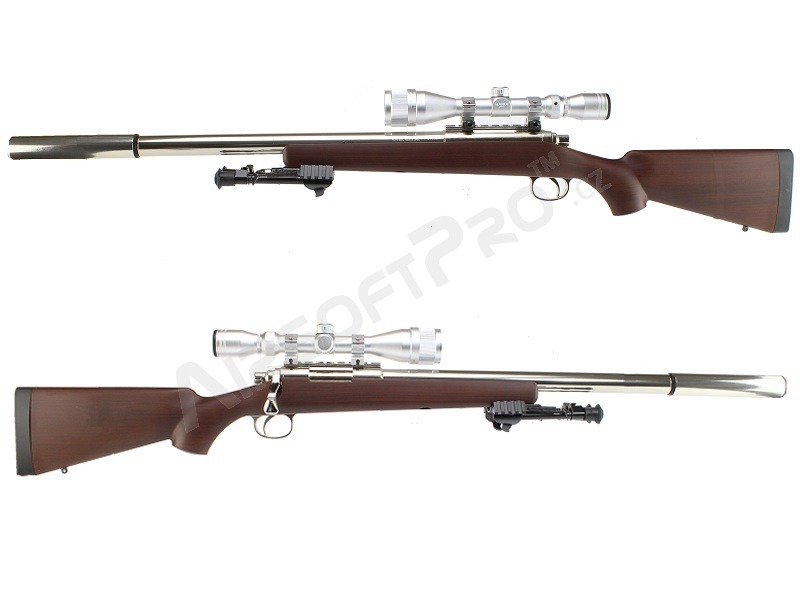 The internals are just as the same as the known VSR G-Spec has (with minor modifications regarding the recoil system). Thus the weapon offers great possibilities of upgrade. With this weapon, you will become the king of arenas, where the fast movement and precision shooting are more important than camouflage. 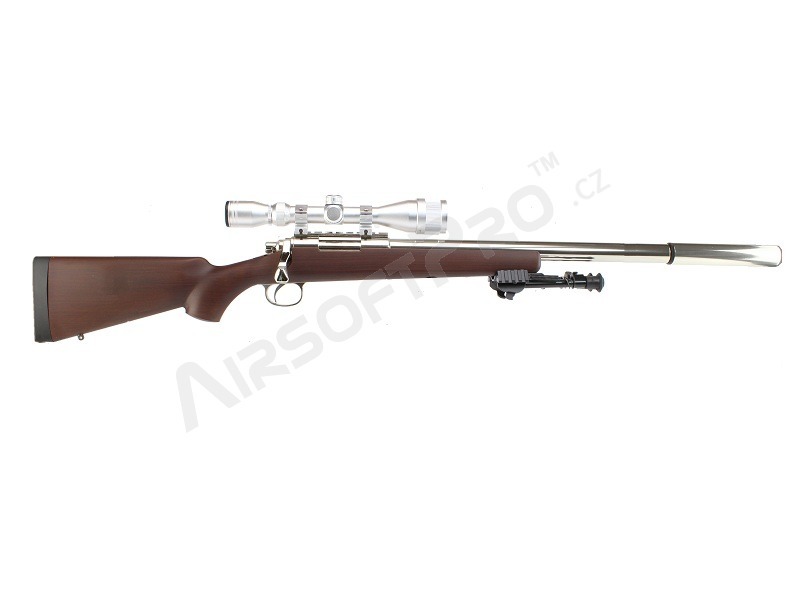 It's also a good choice for sport shooting, because VSR is pretty accurate just out of the box. is a synonym of reliability and top quality. It was founded in 1965. 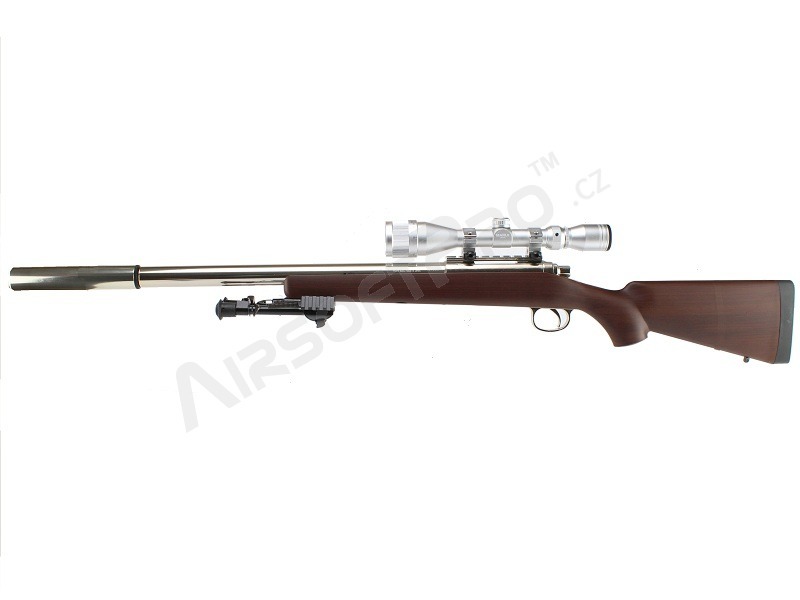 Marui stood at the birth of a modern airsoft and gave the world, for example, an electric airsoft weapon with a well known gearbox. This Japanese firm is known for its importance in processing quality. 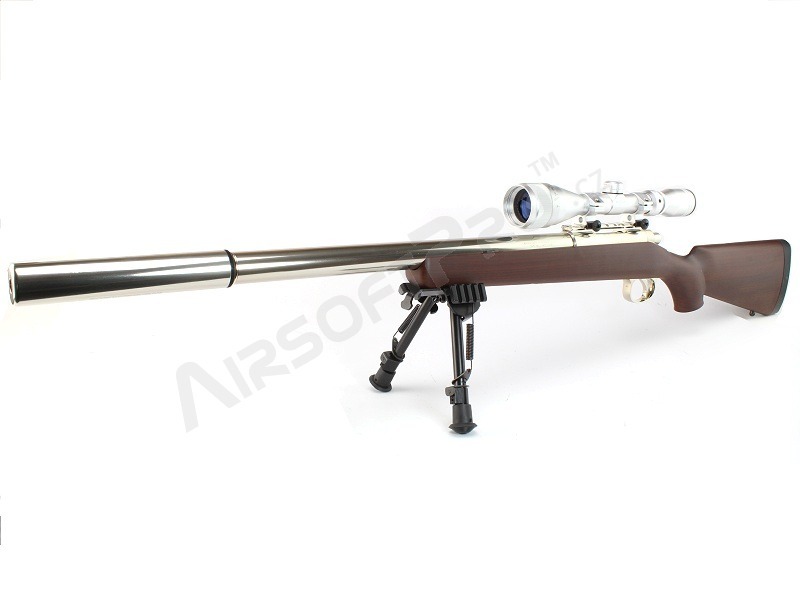 Currently, it is named one of the most prestigious companies involved in this industry and produces a large number of individual models of airsoft weapons.